I recently bought a Toyota Corolla from Tarbox Toyota. I went in with the intent of meeting with another advisor but they were unavailable. I was pleasantly surprised by Josh Reardon and his kindness. As soon I approached the entrance, Josh opened the door, greeted me and my mom, introduced himself, and shook our hands. From the moment we walked in, until four hours later, Josh was extremely attentive, polite, understanding, and charismatic. He was a true gentleman and sincerely genuine. He was patient with my changing of wants and test driving a couple of cars. My mother and I asked a lot of questions and Josh answered them all with diligence. The car-buying process was lengthy due to my mother and I’s detailed wants; however, this was not an issue for Josh. He was so dedicated in taking care of us that he stayed close to two hours past closing time to make sure we were all set. He called my insurance for me and set my phone up to the bluetooth in the car. Throughout the process, we never felt “rushed” or “pushed.” He gave me his business card and days later, I called and texted with questions and he answered in a timely manner, within the hour. I even showed up at Tarbox again and Josh personally showed me things on my car. Josh is new at Tarbox Toyota, being there for a little over a month and a half; however, his amiable nature made up for the years of experience that his coworkers may have above him. 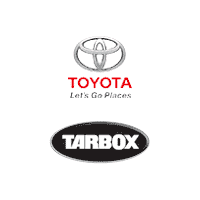 Josh Reardon is a great addition to the Tarbox Toyota company. I highly recommend that you ask for Josh when buying a car! On top of this excellent service, Arthur, the finance manager was very helpful! He was conscientious, funny, & welcoming. He initiated conversation and was very personable! He explained everything in detail and took the anxiety of dealing with math and numbers away. We are very happy customers! I'd like to acknowledge Tim McDonald, Salesman at Tarbox Toyota for making my leasing experience a pleasant one. He is professional, addressed all my concerns, and above all caring. Thanks Tim. Love my new 2019 Rav 4.